In Bangladesh, the maternal death rate is very high, 194 per 100, 000 live births. Despite a drastic decrease in this number in recent years, it is still around 30 times as high as the rate in Canada (6.6 per 100,000). In addition to this, a large number of children under the age of 5 lose their lives to causes that would be preventable with pre-and-post-natal health care checkups. Community health care workers are equipped to help, but unable to see many patients who need their assistance. Our inspiration in creating NatalNet was the idea that the prevention of maternal and child mortality could be simple. Many of the complications that result in such a high mortality rate are easily avoidable - if mothers are armed with the ability to learn and ask questions about their health from medical professionals who have the information but not the time or ability to spread it. 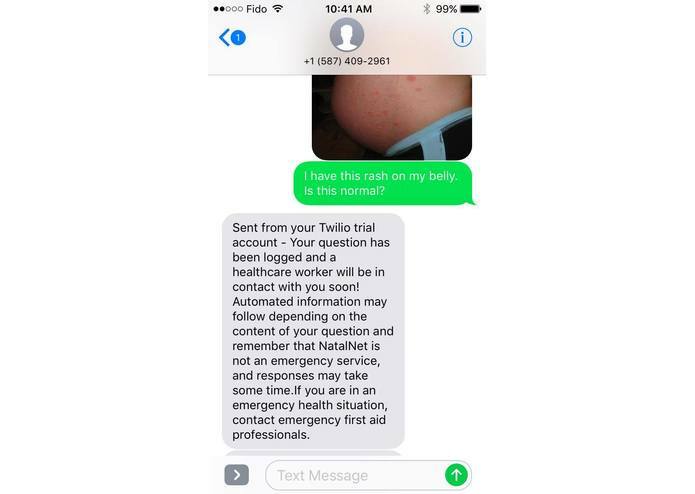 NatalNet is an SMS and web-based application that works to increase the accessibility of pre-and-post natal care by connecting experienced community health care professionals with expectant and new mothers. In Bangladesh, there is 50% mobile phone proliferation and 98% of these cell phones are 2G devices, meaning that many soon-to-be mothers have access to an SMS-enabled cell phone. These patients will be able to send questions and concerns using their mobile devices, and these questions, along with images or videos of potential health issues, will be sent to a qualified health care provider for review and response. 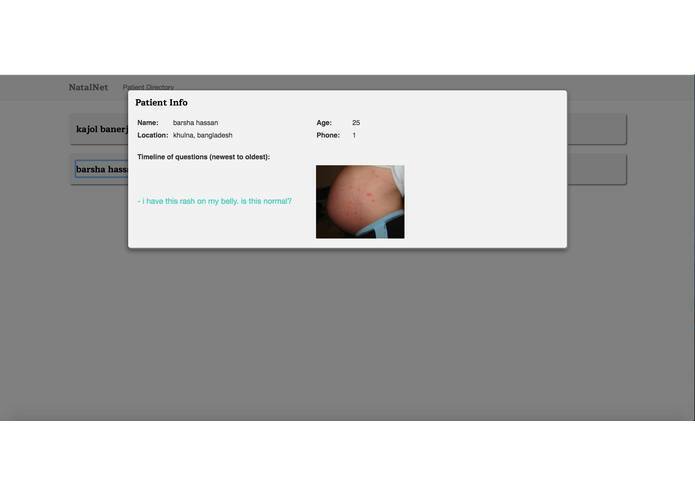 All information, questions, and media from a maternal patient will be stored in a unique file to facilitate easier examination by health care staff. 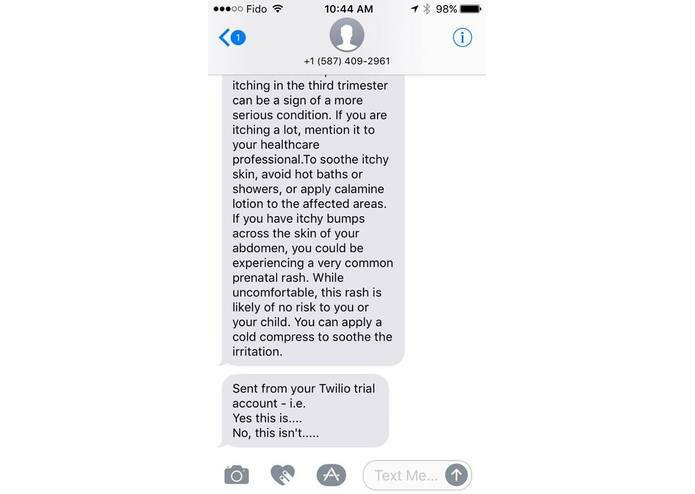 Furthermore, our app allows women to sign up for weekly informational texts messages which provide both general helpful tips for having a healthy pregnancy as well as tips customized to their current trimester. 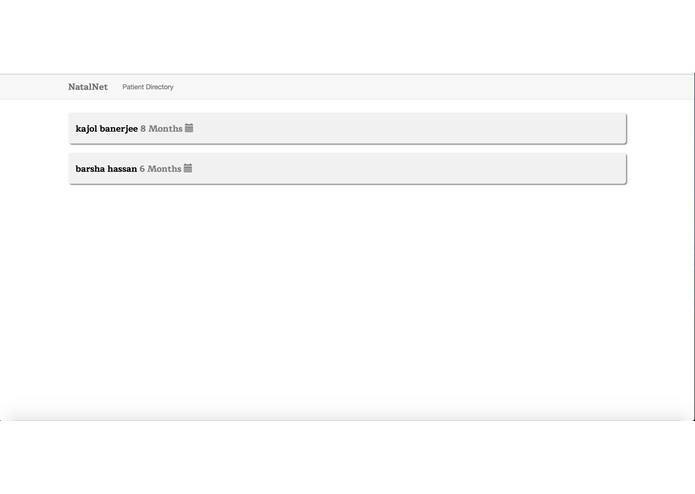 For the back end we implemented Twilio, Firebase, Node.js, and Express.js; for the front end we primarily used Bootstrap. 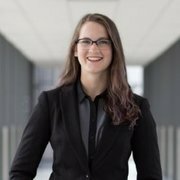 This problem presented a unique set of challenges: we initially struggled with launching the EC2 server instance, as well as implementing and bringing together the Twilio and Firebase APIs that we made use of in our application. In a hackathon with such a short timeline, creating a functional project was always a bit up in the air. We, as a group, are immensely proud of producing an app that functions exactly the way we envisioned it, while implementing several difficult APIs. 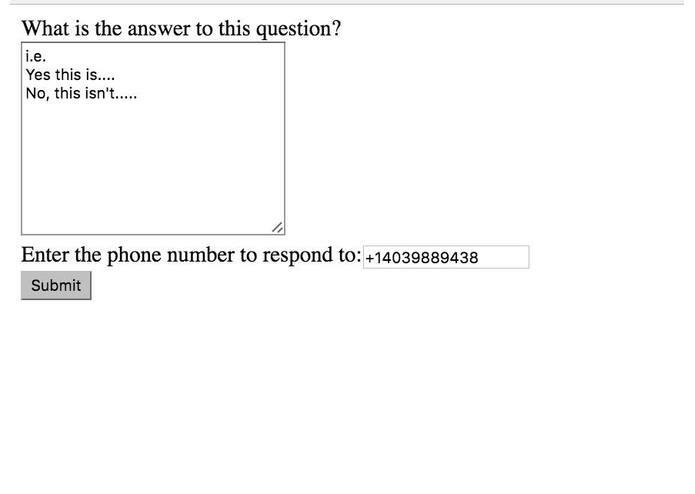 Our database saves all questions and responses as well as information about the woman who asked the question. 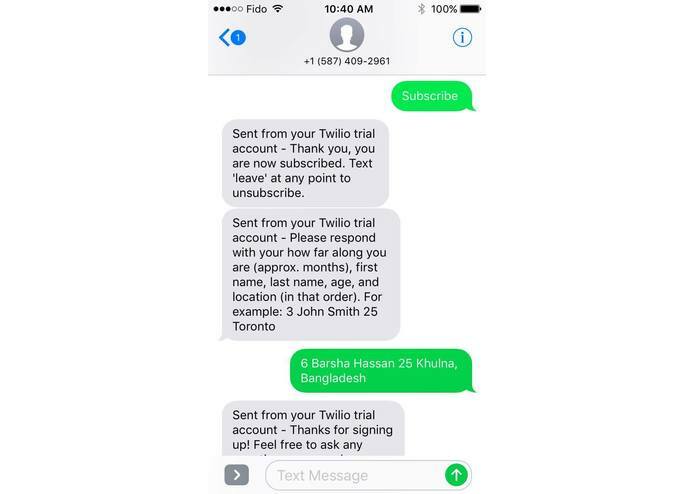 Therefore once the app has been implemented and our database is large enough, we can use database analytics and natural language processing to send personalized automated responses based on responses originally written by actual Community Health Workers in Bangladesh to women like the 'question-asker'. > Implementation of functionality that allows multiple different mothers to access health services via the same phone number. > Automatic flagging of personal data based on health characteristics such as high blood pressure or low weight. 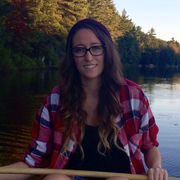 > Long term tracking of common health concerns by region, age, other risk factors, etc. I worked on the back end of the application, which involved developing a RESTful Node.js API using Express.js as well as implementing the Twilio and Firebase APIs. I also assisted in the development of the front end. 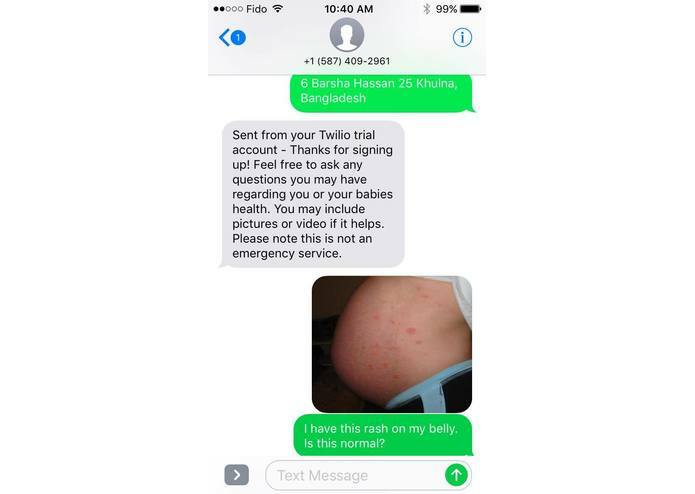 I worked primarily on the back end of NatalNet, helping to implement the Twilio API for SMS and MMS, compiling information regarding pregnancy in Bangladesh, and setting up and configuring the AWS EC2 server. I worked in between the back and front ends of NatalNet, developing some application functions in Node.js, integrating the Firebase database API with our back end, and using HTML to implement how the web app receives and sends data from/to the database. I assisted in the development of the front end of the software, as well as improved presentation design. 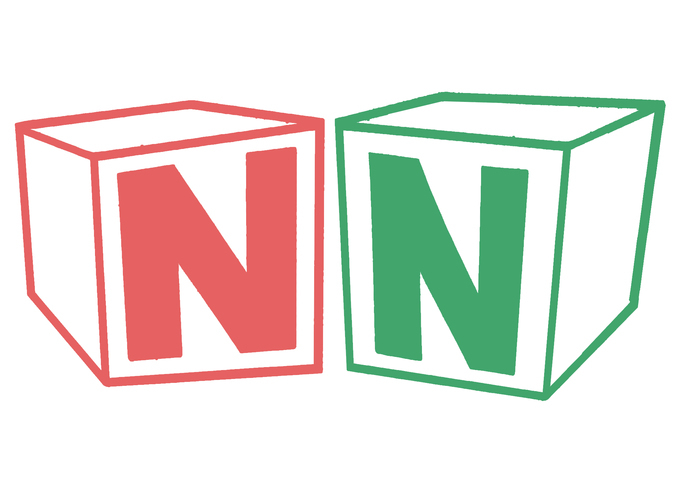 Additionally, I created the Natal Net logo using Photoshop. Front end mockups were created on Figma.